Recently oncogenic viruses that are greatly associated with human cancers were detected in urban sewage and other water environments worldwide. The direct contact with contaminated water and sewage can result in serious infections associated with a wide range of diseases. Human Papillomaviruses (HPVs) and Human Polyomaviruses (HPyVs) were the most common virusesthat have been detected in urban sewage worldwide. In the present study, Ninety sewage samples were collected from Zenin wastewater treatment plant in Giza Governorate. Sixty stool samples were obtained from cancer patients. The findings showed that the prevalence of HPVs in sewage and stool samples was 24.4 % (22/90) and 28.3 % (17/60), respectively. HPV16 genotype was the most predominant genotype using sequencing. On the other hand, the prevalence of HPyV in sewage and stool samples was 78.9% (71/90) and 58.3% (35/60) respectively. JC HPyV and BK HPyV were the most common genotypes of human polyomaviruses in sewage 57.8% (41/71), 42.3% (30/71), respectively and in stool 54.3% (19/35), 45.7% (16/35), respectively. By using quantitative Real-time PCR, the number of HPyV DNA copies ranged from 5.3x104 to 6.02x104 GC\L in raw wastewater and 6.2x103 to 6.85x103 GC\L in treated effluent of wastewater treatment plant. Regarding to stool samples, their numbers range were 2.5x105 and 1.24x107 GC\L. 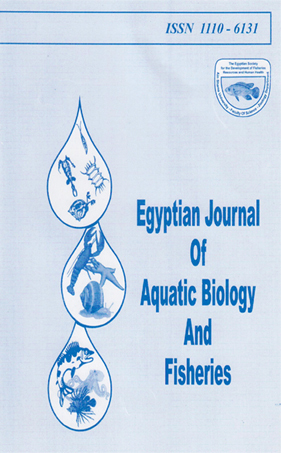 These results are indicator of risk for the prevalence of HPVs and HPyVs in Egyptian environment. This is the ﬁrst report in Egypt to study the human oncogenic viruses in the same study of environmental and clinical samples.